Thirteen children with autism and their guardians were treated to a day of imaginative play at Kidzania Manila in Taguig last 30 July 2016, through the kindness of Cebu Pacific. Freshly formed on 18 June 2016, ASP Lemery was recognized for their efforts to recruit the most number of new members towards building the national autism advocacy. 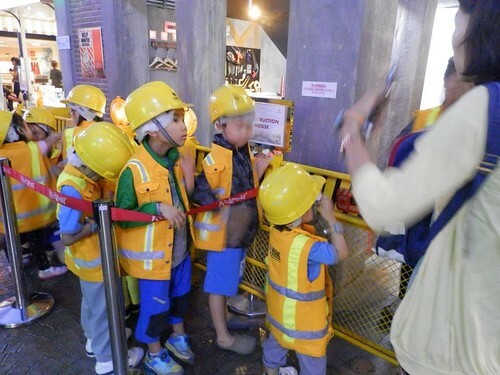 Kidzania Manila offered young minds the opportunity to explore an alternative universe where kids run society. Parents would attest to how exploring the various job sites helped their kids hope, dream and imagine themselves in the future as working adults. Despite the challenges of living and loving with autism, this community trip lifted the spirits, not just of our angels with autism, but of their ever-faithful parents as well. About the contributor: Wena Atienza is a President of ASP Lemery Chapter. She is a writer and a former college instructor.